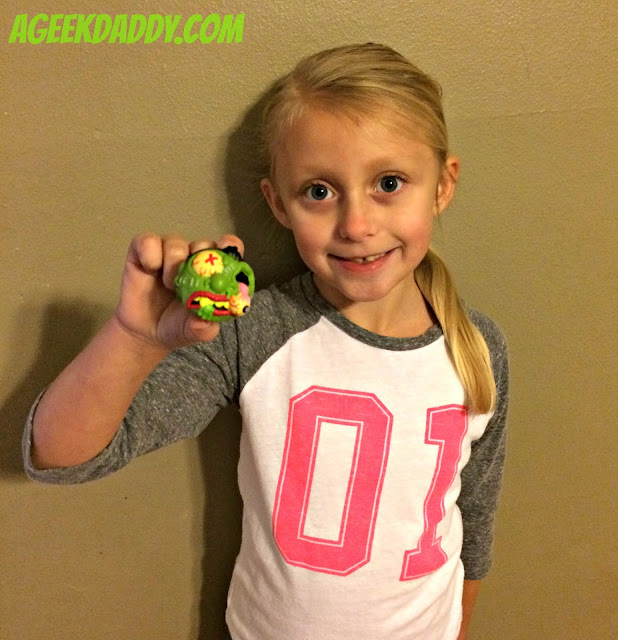 A GEEK DADDY: Madballs are back! I remember having a collection of Madballs as a kid in the 1980s. Decorated to look like monsters with gross and horrendous features they turned a ball you'd normally bounce or throw into a more overarching toy that kids could engage in imaginative play pretend adventures with or have fun collecting. Of course they were probably popular because of their appearances as admit it kids just are drawn to liking gross things. I remember based upon my childhood memories of playing with Madballs, looking to pick some up for my kids a few years ago for a Halloween treat and not being able to find them anymore. 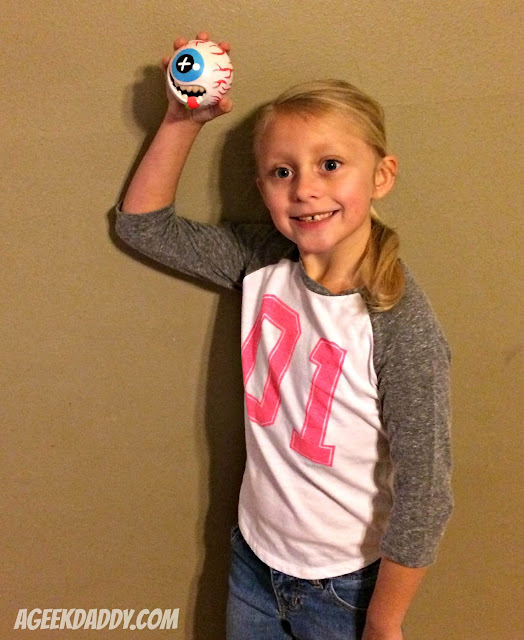 So I was excited to recently find out Madballs are making a come back. American Greetings is launching a new animated television series later this year featuring Madballs and JUST PLAY is releasing a modernized version of the original toy line for a new generation of kids to enjoy that you'll see on store shelves. 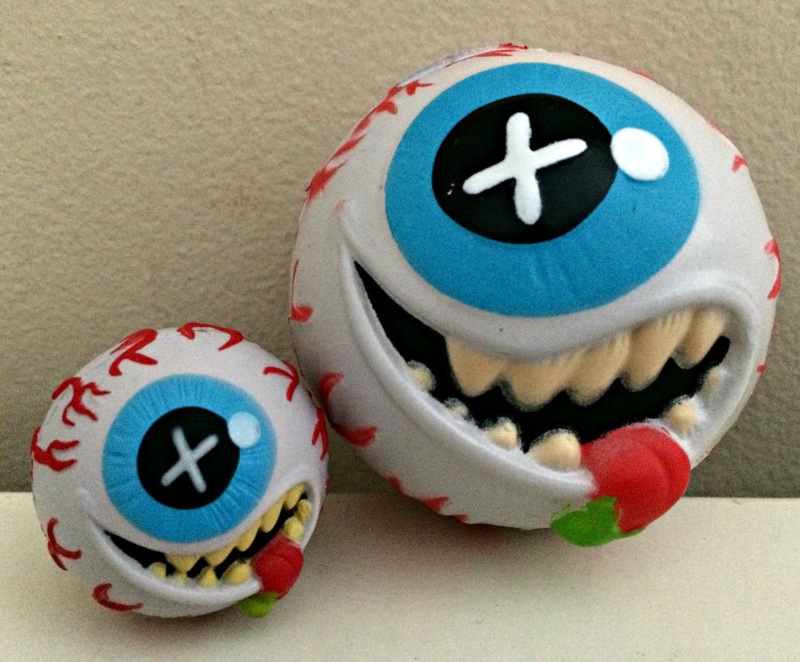 Recommended for ages 4 and up, these toys are available either in the toy's original 3-inch size packaged so you can choose which Madballs character you'll be buying or in a 1.5-inch miniature size which are in blind bags so it is a surprise until the package is opened. The 3-inch Madballs are available in 6 designs based upon original toys first sold in the '80s. The 1.5-inch versions have an additional 7 characters in their assortment including a really cool looking Glow-in-the-Dark Skull Face which will be ultra rare to find in the blind bags. 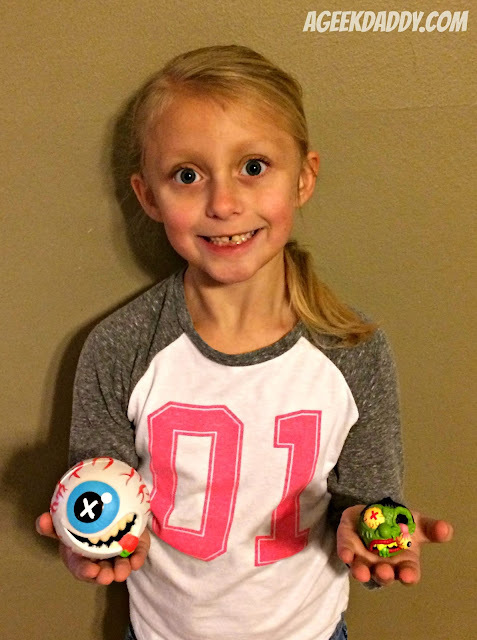 Each of the 6-inch Madball has a bio on its package to provide the toy with some personality, and includes a bonus collectible XCAP that lists the character’s likes and dislikes, which have been written to appeal to today's boys and girls. 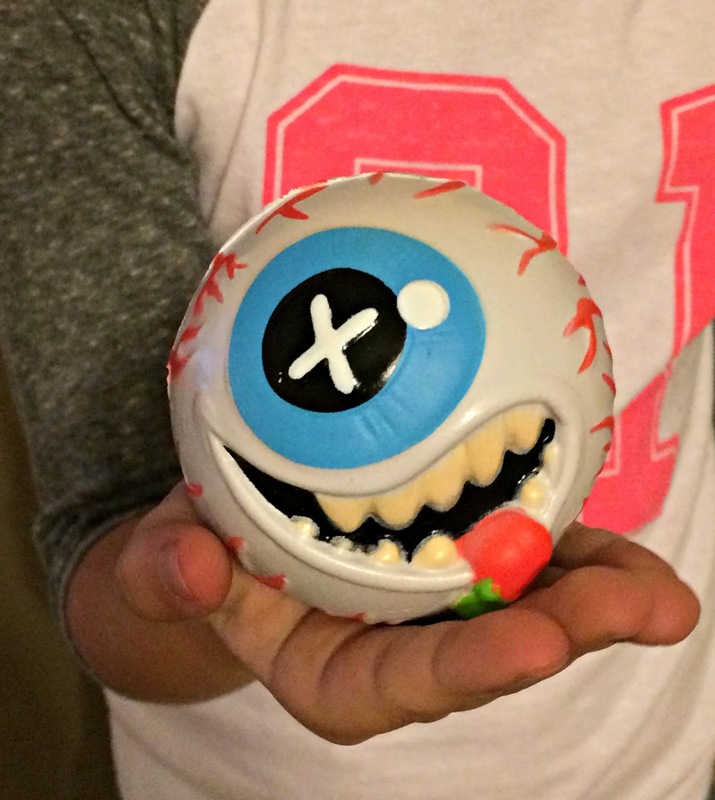 JUST PLAY sent us a 3-inch OCULUS ORBUS who likes pranks and dislikes losing staring contests along with a few Madball blind bags to play with. Other characters in the 3-inch collection include SKULL FACE, HORN HEAD, SLOBULUS, DUST BRAIN. I'm a huge baseball fan and my favorite of the group is SCREAMIN MEEMIE which depicts an angry looking baseball sticking its tongue out at you. I may just have to go pick up one of those just for myself!